The announcement by SpiceJet comes at a time when full-service carrier Jet Airways has suspended its international operations amid severe financial woes. NEW DELHI: Expanding its international footprint, SpiceJet on Monday announced launching non-stop flights from Mumbai to Hong Kong, Jeddah, Dubai, Colombo, Dhaka, Riyadh, Bangkok and Kathmandu. The new international flights will commence from May-end. 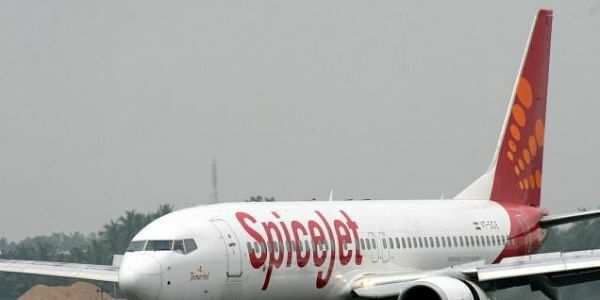 “Mumbai is a key destination on SpiceJet’s network and the airline aims to further scale up its international and domestic connectivity from the city,” the carrier said in a statement. The announcement by SpiceJet comes at a time when full-service carrier has suspended its international operations amid severe financial woes. NEW DELHI: Expanding its international footprint, SpiceJet on Monday announced the launch of non-stop flights from Mumbai to Hong Kong, Jeddah, Dubai, Colombo, Dhaka, Riyadh, Bangkok and Kathmandu. The new international flights will commence from May-end. “Mumbai is a key destination on SpiceJet’s network, and the airline aims to further scale up its international and domestic connectivity from the city,” the carrier said in a statement. The announcement by SpiceJet comes at a time when full-service carrier Jet Airways has suspended its international operations amid severe financial woes. SpiceJet said it will be the first and only Indian budget carrier to launch daily direct flights on the Mumbai-Colombo, Mumbai-Dhaka, Mumbai-Riyadh, Mumbai-Hong Kong and Mumbai-Kathmandu sectors. The airline will be deploying its Boeing 737 NG aircraft on the new routes. Ajay Singh, Chairman and Managing Director, SpiceJet, said, “SpiceJet will be the only Indian budget carrier operating on a majority of routes that we have announced today, thus providing leisure and business travellers more options to choose from.” Shares of SpiceJet on Monday were trading at `118, up 7.50 per cent, on BSE at 2.45 pm. SpiceJet had last week announced six new domestic flights connecting Mumbai with Kolkata, Chennai and Varanasi. While SpiceJet’s international flight to Bangkok will start from May 17, 2019, the domestic flights are effective from April 18, 2019.Trouble at Jet Airways is also helping carriers expand their fleets. SpiceJet, which had to ground its 12 Boeing MAX planes in March because of safety concerns, is to induct 16 Boeing 737-NG aircraft on dry lease in the next few days. It is reported that all the 16 737 planes were operating under Jet Airways a few weeks ago.